One of the years most captivating tours kicks off later this month when rock legends Simple Minds, art rock pioneers Devo and Australias the church take the stage for eagerly-awaited indoor concerts and a day on the green events. 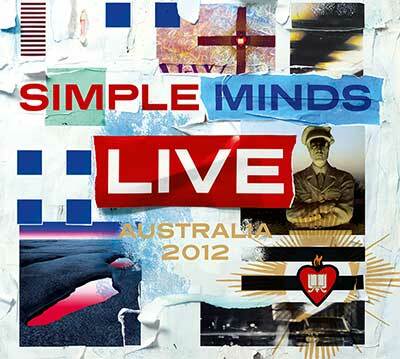 And exciting news for SIMPLE MINDS fans - DiscLive will be there to capture it all! We will be capturing each and every one of the Australian shows for the first time ever, and offering limited edition, individually numbered CD sets to fans right after the show! Not only that we are also offering a special DELUXE edition that includes an exclusive rockumentary style audio interview with legendary US radio personality REDBEARD interviewing Jim Kerr! Both editions are available to pre-purchase online. And since these are STRICTLY limited edition, you may want to pre-order yours before the tour so you can ensure you receive your copy! Remember, you can order your CD set and have it shipped home to you, and you may also order it and pick it up at the show when you leave! ORDER IN ADVANCE AND SAVE MONEY! Australian fans please pick INTERNATIONAL when filling out the order form! :) Order your copy today!